Energize Vermont is cooperating with a Maine non-profit, WindowDressers, to bring their successful window insulation program to Vermont. Energize Vermont is working with Vermont communities to outfit homes with custom-fit, insulating window inserts. The inserts are made of clear plastic stretched over a wooden frame. Foam edging ensures a tight fit and makes inserts easy to install in the winter and remove in the spring. WindowDressers estimates that an insert installed in a typical window (they are generally sold at-cost for about $30) will save 15 gallons of heating oil per heating season. At 2019 prices, this can save the homeowner over $40 per year per window (and avoid the emission of almost 350 pounds of CO2). Properly cared for, window inserts can last upwards of ten years. A homeowner might insulate ten windows and expect to save $4,000 and avoid 35,000 pounds of carbon emissions over ten years. 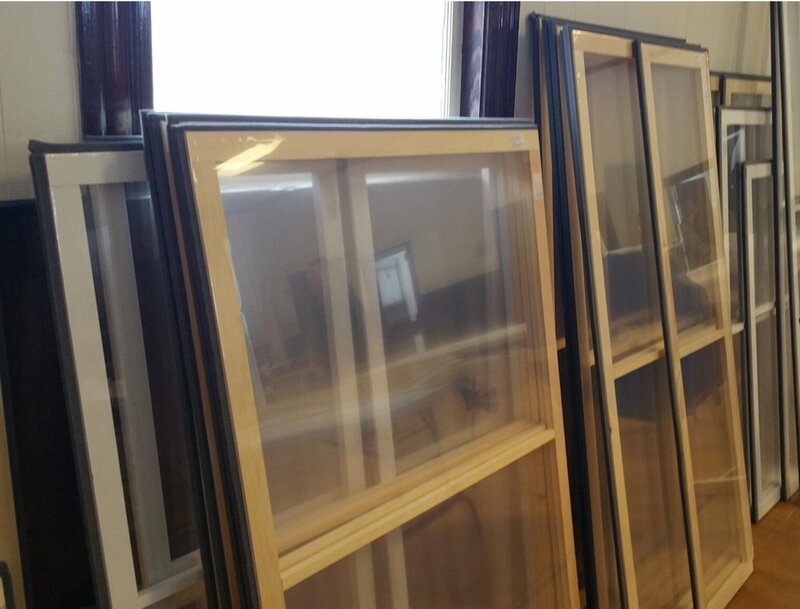 In January, the Glover Energy Committee completed a pilot project—the first one in Vermont—that produced 140 window inserts to be installed in 25 area homes. It was a tremendous community-building event. The frames were assembled by a small team over the course of three days. The clear plastic sheets and foam edging were applied by a couple dozen volunteers during three day-long workshop sessions. Other volunteers brought fabulous homemade lunches and snacks. The lessons learned in Glover will help us bring workshops to more Vermont towns. Energize Vermont is developing partnerships with other organizations to enable us to make the program pioneered by Window Dressers into an all Vermont enterprise. If you want to consider organizing a workshop in your town, contact Energize Vermont at info@energizevermont.org. A community—perhaps through its energy committee—conducts an outreach effort to determine the level of interest in the program. Volunteers from the community visit the homes of interested community members and measure the windows to be fitted with inserts. Energize Vermont will deliver the pre-cut wooden frames, other raw materials, and the required tools to a facility in the community (a church, school, or town hall). Community members are trained and typically spend two days building the inserts. Other community members ensure that everybody participating in the effort is well fed by providing fabulous food and drink. WindowDressers is a grassroots, volunteer-run nonprofit organization that trains, supplies, and supports teams of community volunteers who conduct Community Workshops to build insulating window inserts for local residents. Volunteers for WindowDressers are typically motivated by environmental concerns, social and economic justice concerns, a love of making things with their hands, and/or a desire to participate in a community effort producing concrete, meaningful results. Volunteers have built over 27,000 custom-made insulating window inserts since 2010, with about 25% given away to low-income families. These inserts improve the warmth and comfort of homes, lower fuel bills, and reduce greenhouse gas emissions.